To start, I need to give you one of my confessions of naivety (again!). 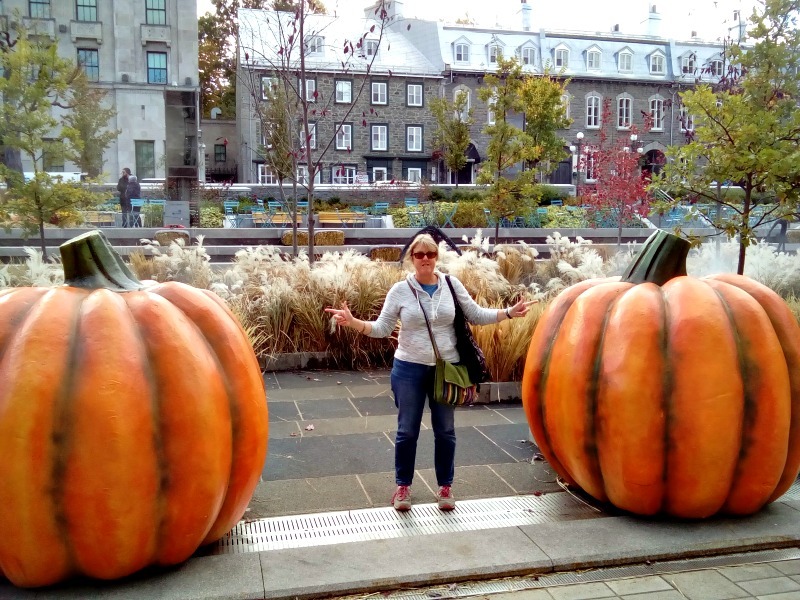 We understood totally when planning our route across Canada that the Province of Québec was French speaking but I don’t think we had appreciated quite how French the architecture, culture and just general feel of the place would be. Jon’s description of the buildings is that “It looked like France but tided up a bit with a lot of cannons”. I think that is a pretty good description and hopefully not offended too many of our international readers (that means you Mum!). After the abandoning debacle on arrival, little did we know that our first host in a little apartment near La Gare du Palais was a complete ringer for the one time Arsenal midfielder, Patrick Vieira. Unbelievably, he was called Patrick but originally from the Ivory Coast. He smiled constantly which was probably at my appalling schoolgirl French. 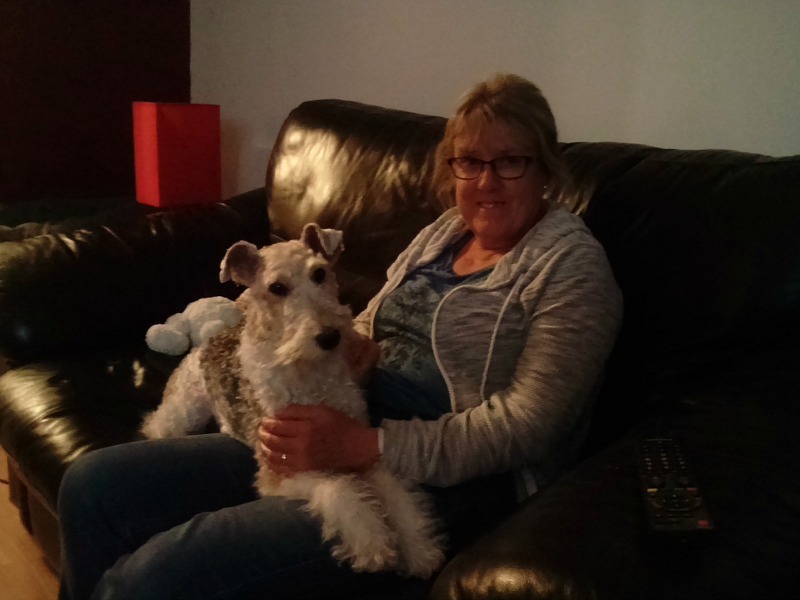 His little fox terrier, Sisi, was very friendly and even had her own bedroom. It was a converted cupboard painted pink and full of her toys and little pink dog bed. This is not the first time on our adventure that I have used the above phrase. It is a habit of mine but it does 100% sum up what we usually do on our first outing in a new location. Many a time, clutching a free map, we head for the centre du ville (get me!) and get the lay of the land (another of my favourites). It only took us about ten minutes to decide that we liked the look of the city. None of your slow burners of Toronto here. My interest in the city was further fuelled by seeing the ramparts around the old city and the anticipation of many a plaque to read. I have not been disappointed. 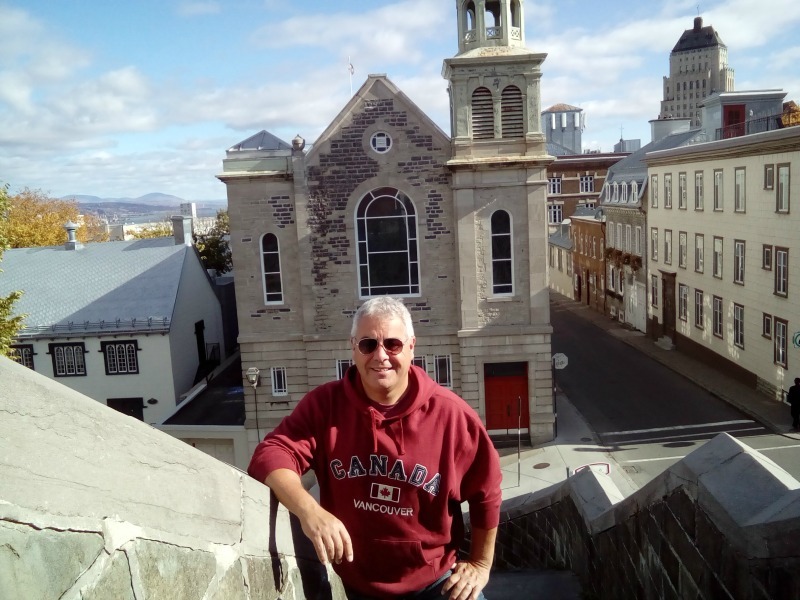 While I raved about the history, Jon was equally impressed by the atmosphere and traditional French feel to the city. How this has been maintained while part of Canada and with the USA as close neighbours is a complete enigma. As usual our first day we JWalked then JWalked some more. And then of course there were the cannons. 1. Ramparts – running all the way from Artillery Parc to L’Citedelle. Full of cannons. 2. 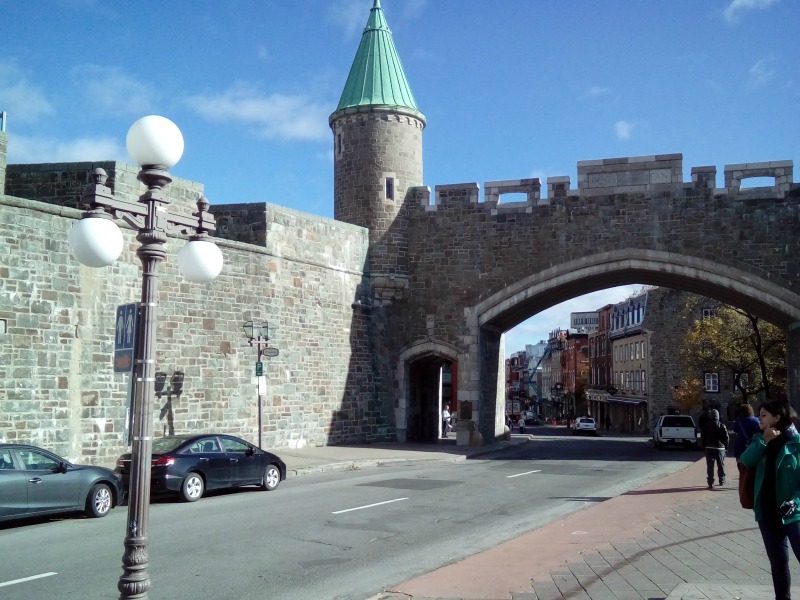 Gates to the old city – Porte Saint-Jean, Porte Kent, Porte Saint-Louis and Porte Prescott. 3. Artillery Parc – Quarters, armoury, stores, parade ground and prison for French troops. Space for lots of cannons. 4. 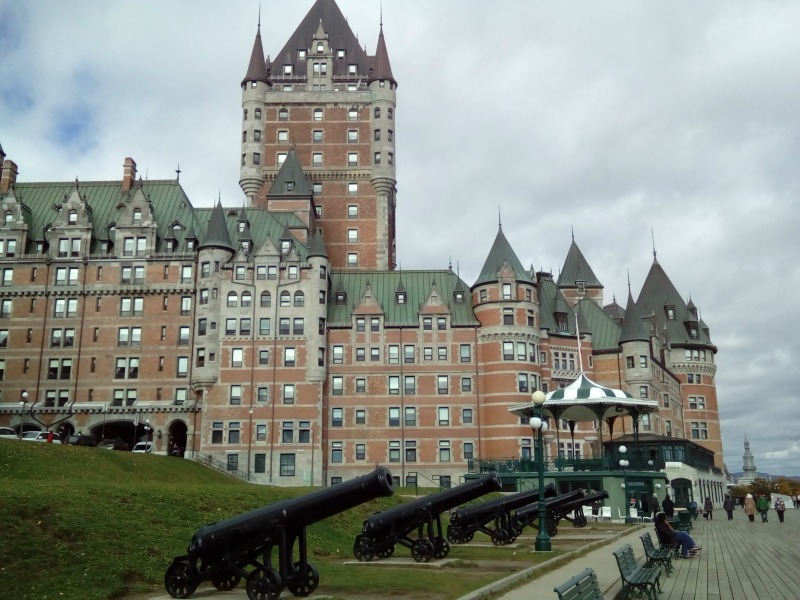 Chateâu Frontenac – Grand hotel, opened in 1893, alleged to be the most photographed hotel in the world. 5. 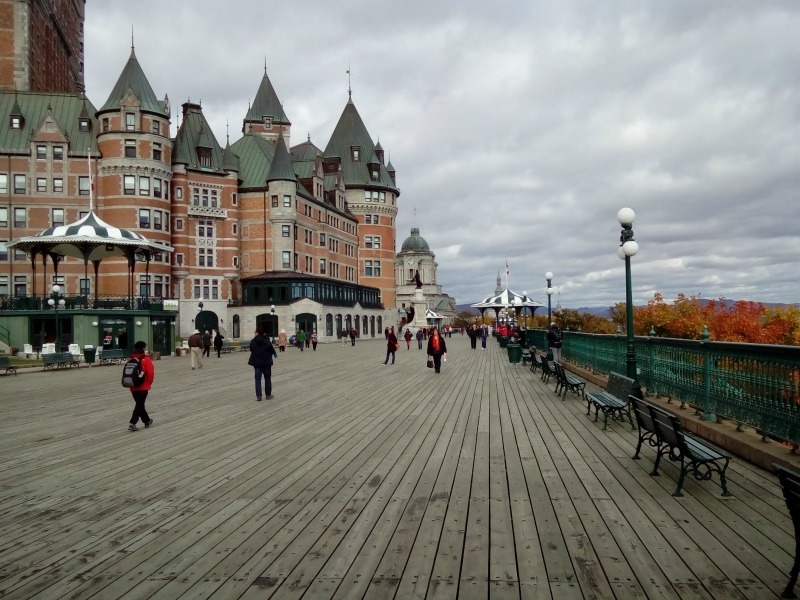 Dufferin Terrace – A large boardwalk in front of the chateâu, overlooking the St Lawrence river. Full of, guess what? Tourists, street entertainers and yeah cannons. 6. Funicular – Linking Dufferin Terrace to the port area below. 7. 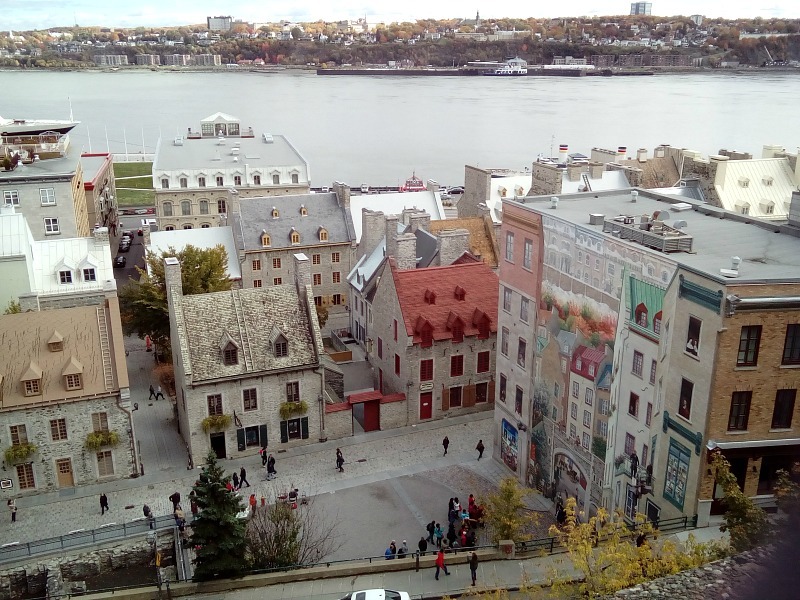 Old port area and murals – narrow streets with lots of historic buildings on the Rue du Petit-Champlain. Now a mix of little cafes and shops. 9. 250 Beers at Saint Alexandre Pub – Lively hostelry dating back to 1892 but why call it a pub? 10. 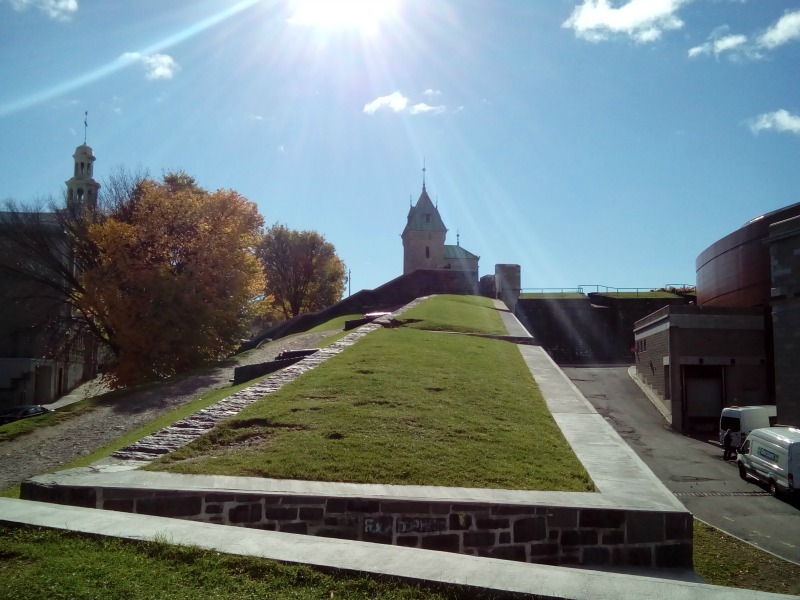 La Citadelle and The Plains of Abraham – these locations deserve a section all of their own but first a potted history. I am not sure if I can successfully achieve this because this place has blown my history mind but here goes! 1534 – French explorer, Jacques Cartier, sailed up the St Lawrence. Claimed the territory for the King of France. First nations guided Cartier to “kanata” meaning village (present day Québec). Kanata = Canada? Possibly. 1608 – Samuel du Champlain founded Québec City. Settlers arrived. 1754 – Start of the Seven Year’s War. Called the French Indian War but was really French British. 1759 – General James Wolfe led British Troops to Québec, the heart of what was known as New France. After a 2 month siege, Wolfe led his troops to battle against Louis-Joseph Montcalm’s French troops and militia. The battle only lasted 30 minutes. Wolfe won. He and Montcalm died of their wounds. 1763 – End of the Seven Year’s War. Treaty of France signed giving the northern part of New France to Britain. 1775 – First American attempt to take Québec. Unsuccessful. 1812 – Second American attempt to take Québec. Unsuccessful. The Citadelle is a massive low lying military fortress on Cap Diamont. If you see it from the air it does have a pointy diamond shape. This area is supposedly called Cap Diamont because on his arrival the French explorer, Jacques Cartier, found glittering stones in the cliffs. Disappointingly, the “diamonds” were turned out to be only quartz. After a ton of digging (not literally) I can say that despite sharing the same surname and the diamond connection, Cartier Jewelry has no connection to the explorer. The fortifications began in 1701 and added to and improved up until 1850. 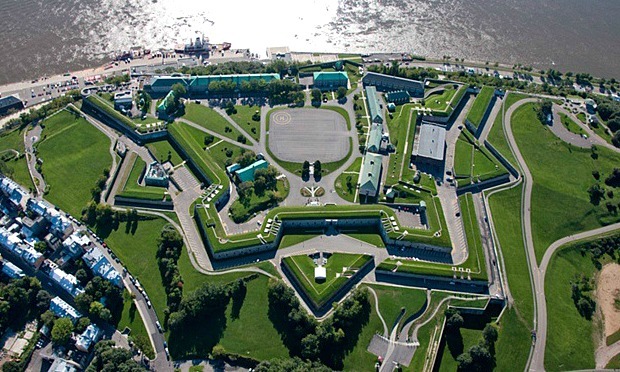 The Citadelle is huge and is home to the Royal 22nd Regiment and is the official residence of the Governor General. The parade ground has a changing of the guard during the summer months – accompanied by the regiment mascot – a goat. For our visit, we had to have a guided tour because it is still an operational military location. The guide was great, especially when explaining the antics of the current mascot and the demise of his ten predecessors. We toured round the powder magazine, redoubt, barracks, prison, guardhouse and finally a museum. We notched up sightings of at least another 30 cannons on our Québec Cannon Count. 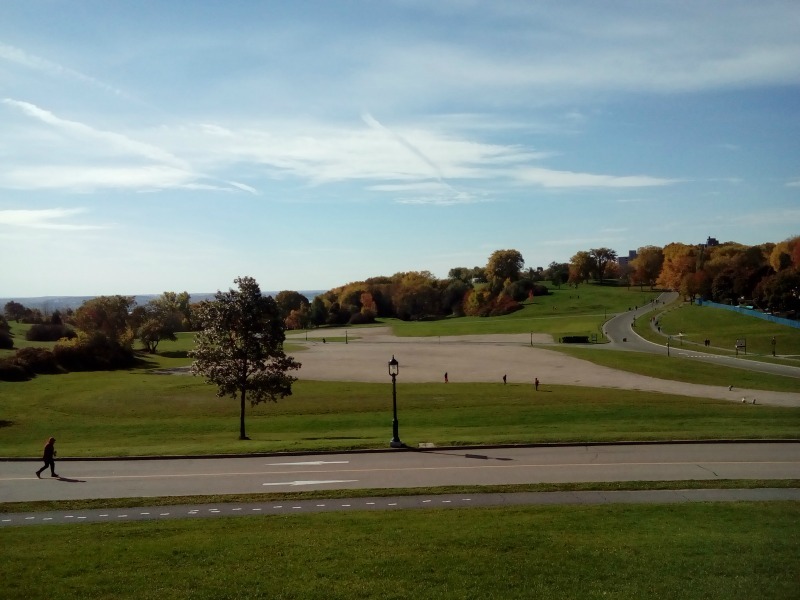 The Plains of Abraham run south of the Citadelle. 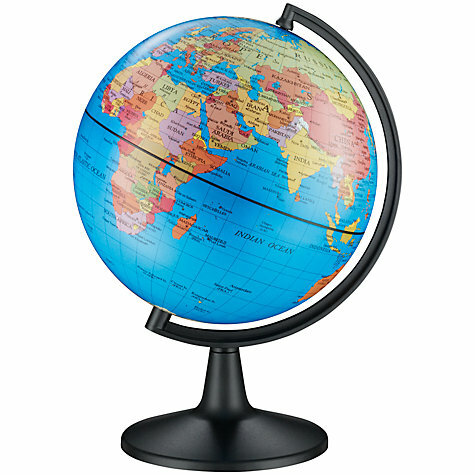 The name comes from an early settler called Abraham Martin who grazed his sheep on these plains in the mid 1600s. It is a vast cliff top expanse of parkland scattered with monuments to its history. It was the site of the battle between the French and British troops in 1759 when General Wolfe attacked after scaling a huge cliff. 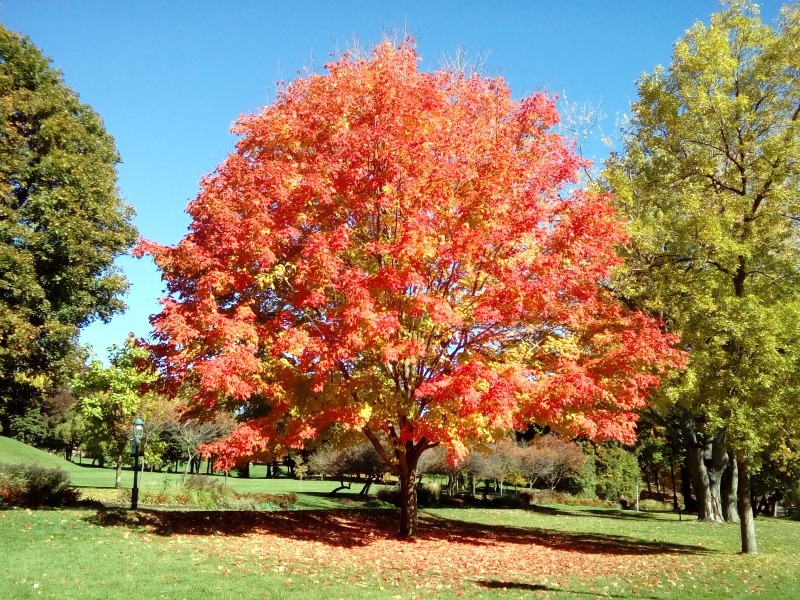 The Plains are spectacular colours in autumn with the trees turning all shades or yellow, orange and red. The photos don’t do them justice. I love the dramatic name of this place. Of course we can’t compete in any shape or form with the cannons, but why can’t we have Mote Park as the Plains of Maidstone or have a Plains of Churchill somewhere? The name Québec comes from the First Nation word kébec which means “where the river narrows”. In August 1943, Winston Churchill, Franklin D Roosevelt and MacKenzie King (the Canadian Prime Minister) met at Chateâu Frontenac to plan Operation Overlord. Stalin was invited but did not attend. Charles Lindbergh, he of the first solo flight over the Atlantic, landed his plane in 1928 on the Plains of Abraham. He had flown from New York to deliver medical to a friend. The plaque on General Wolfe’s statue used to read, “Here died Wolfe victorious”. In 1965, it was changed to “Here died Wolfe”. French Canadians a little sensitive in defeat? Please. In 1827, Buffalo Bill brought his circus to the Plains of Abraham. Finally a cannon ball fact, what else? The largest cannon at La Citadelle is called Rachel. One winter, around the end of the 1800s it was decided to test Rachel. The theory was that the cannon ball would crash through the ice of the frozen St Lawrence. Somehow, someway the angle and speed was perfect for the cannon ball to bounce off the ice and totally destroy a house on the opposite banks of the river. Much to the horror of the soldiers! Since then Rachel has remained a quiet lady overlooking the seaway. Cracking blog Jo. 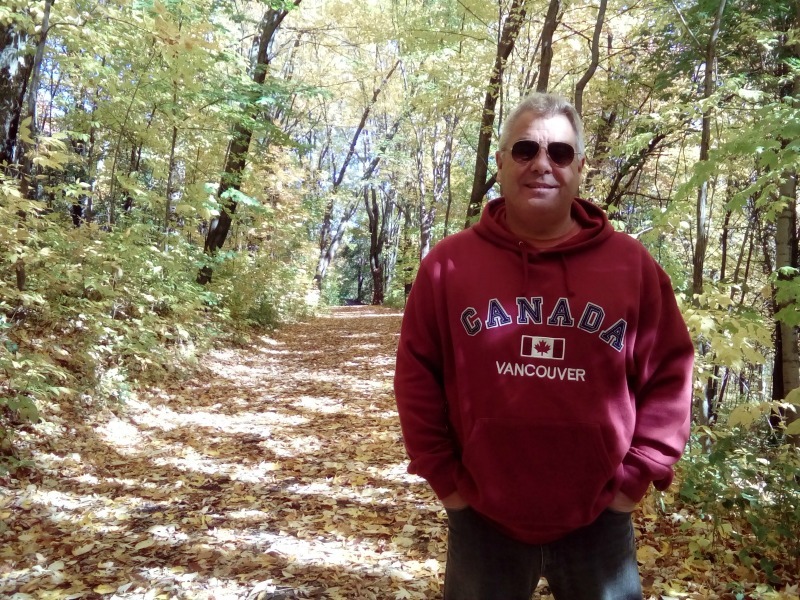 I have quietly gone about my life and not given Quebec a second thought. Who’d have thought it would turn out to be quite so interesting. How many of the 250 beers have you sampled so far? Maidstone is just plain and is far from dramatic. I think we are missing one interesting fact about enormous pumpkins though. Wonderful information – I shared a few of those facts with Ray. There is a section in the Outlander series that elaborates on that battle on the Plains of Abraham… Don’t get caught with those needlework scissors! 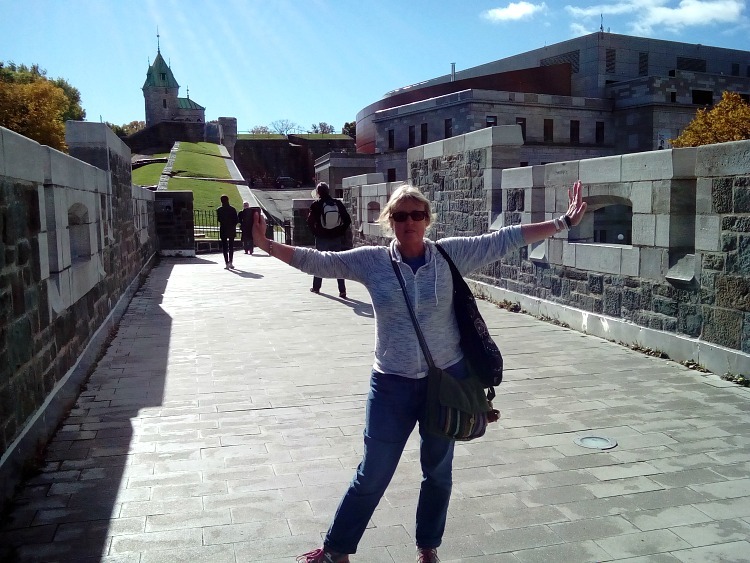 The needlework scissors didn’t hold up …..but we’re on the run to Montreal just in case! Ha love it. I think I may have known someone called Rachel who could well have been a cannon ball! Yes I remember her. She was a blast!! 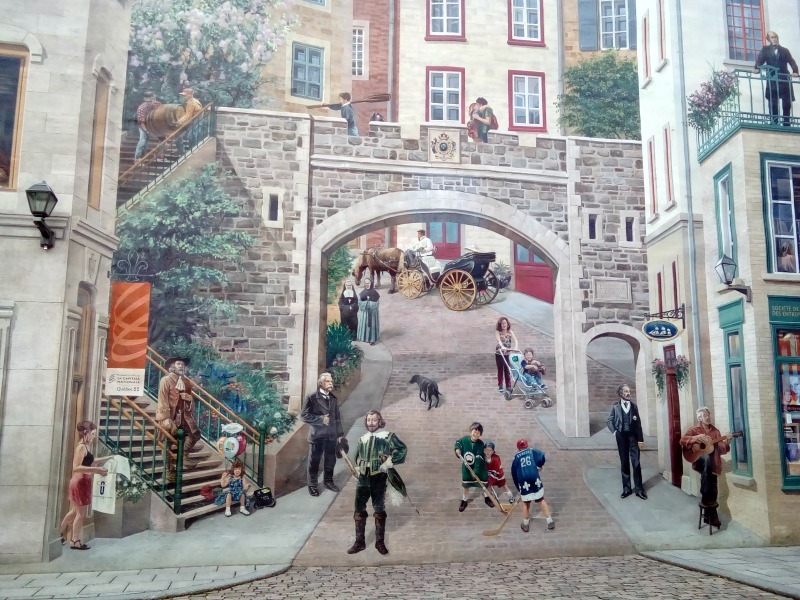 I have been to Montreal – where we, like you, were caught by surprise that it was not merely French speaking, but that some people appeared not to speak English at all. (Either that or they were unwilling to speak English to hapless English-speaking tourists trying to order from a menu that was in French). 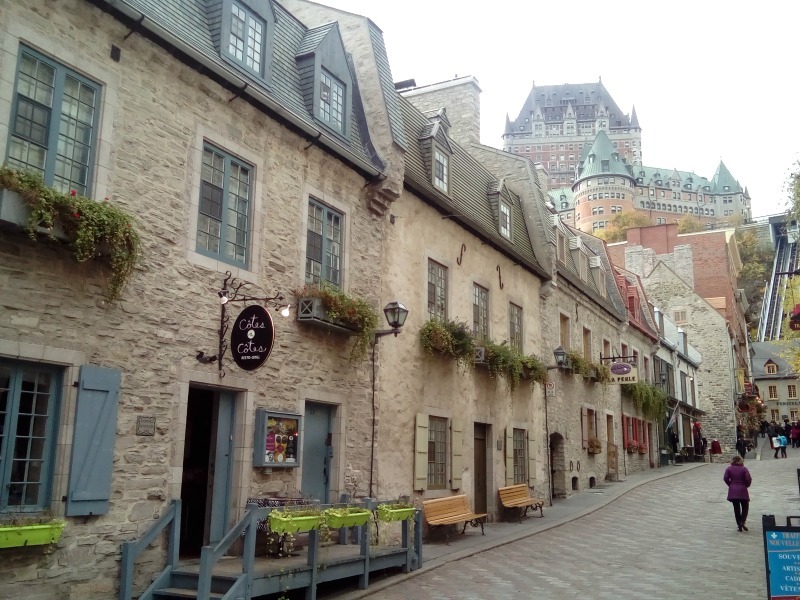 I have not been to Quebec city, it looks equally stunning.